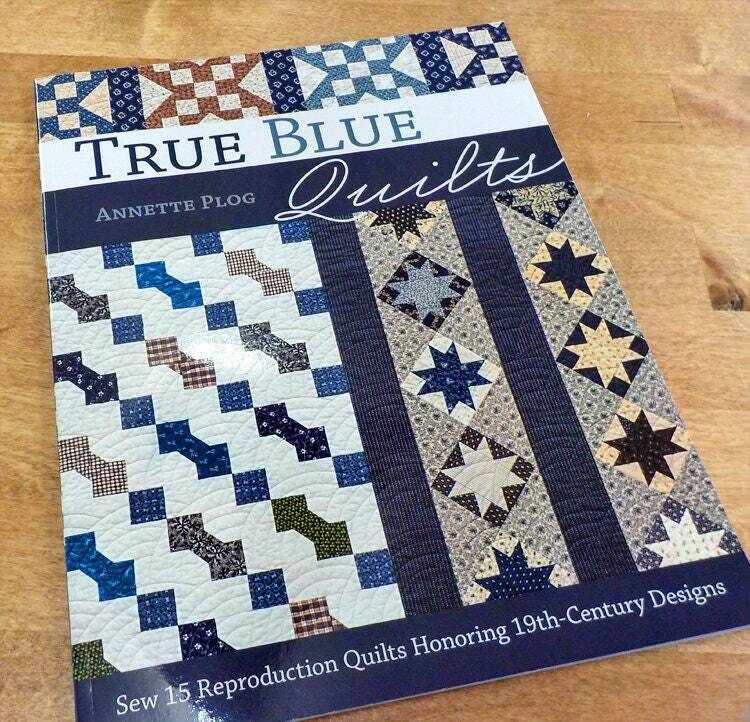 True Blue Quilts by Annette Plog...Sew 15 Reproduction Quilts Honoring 19th-Century Designs. Blue is my favorite color and when i saw this book featured blue quilts from the 19th century...i knew we needed to have it. Travel back in time when you flip through the pages of this book of blue. Read the blue fabric study guide at the beginning to get a feel for the time periods, the prints, and the blocks. Then peruse the pages and your blue stash for just the right blues to compliment your project. Kansas City Star Quilts publication.